Just yesterday I posted the brand new Funko "POP!" 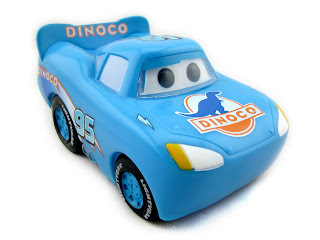 assortment featuring your favorite Disney·Pixar Cars characters as stylized vinyl figures (see full post HERE). 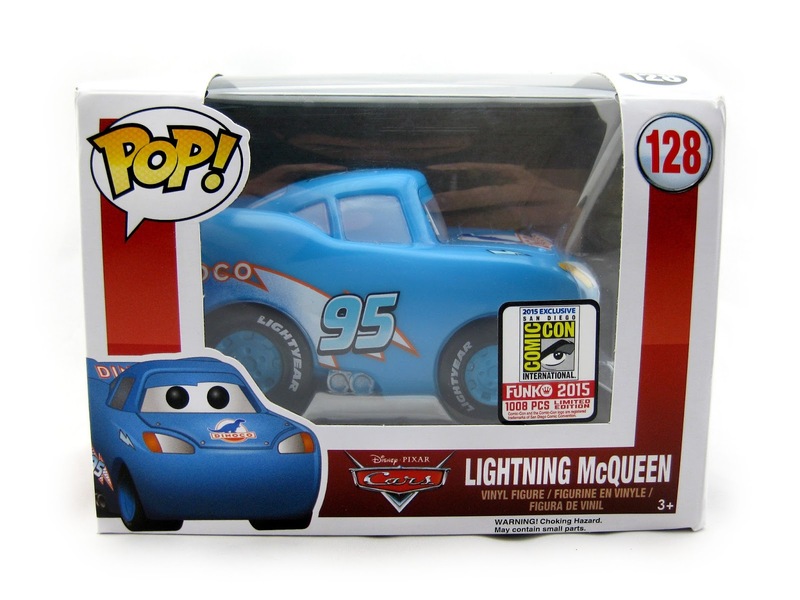 Well, the fun's not over yet- here is one additional character that was only available this month as a San Diego Comic Con (SDCC) exclusive...Dinoco Lightning Mcqueen! This is a rare, limited edition collector's item of just 1008 pieces. 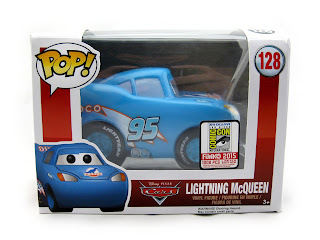 Since this is considered a Lightning Mcqueen "variant", it's still #128 in the Disney "POP!" Funko line. How cool is this? Like the other cars in this collection, this one has a great design, vibrant colors and some nice little details. 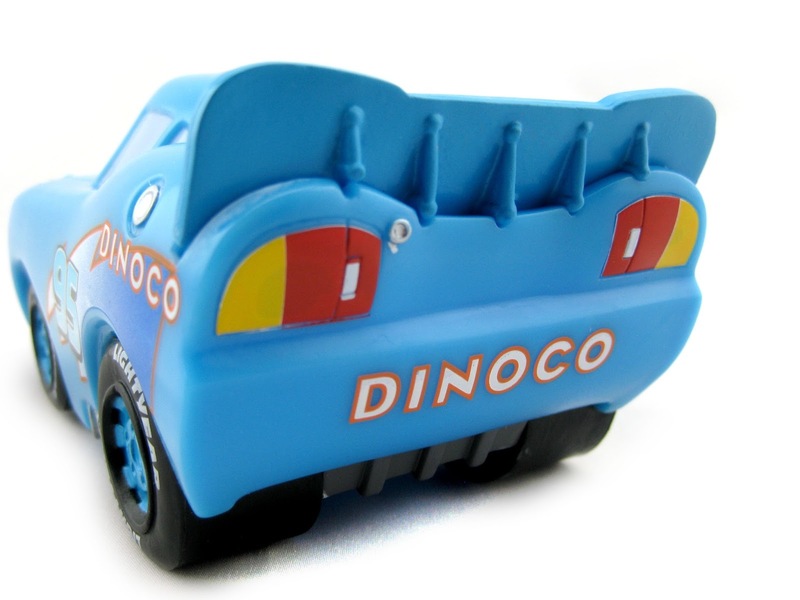 If you're any kind of Pixar Cars fan and/or collector, than this is for you. What's so cool about the Funko "POP!" products is that they're simple enough that a baby could enjoy them, yet sophisticated enough for adult collectors to display- so whatever your age, you'll appreciate this! The limited nature of this one makes it extra cool as well. The only way to get one of these now, unfortunately, is on the second hand market (you can find this typically selling for $40-$60 at this point). Check out current listings on eBay using this direct link or visit Amazon using the link below. Get it while you can!